Bleeding in the brain also known as brain hemorrhage is a dangerous condition that can be fatal. 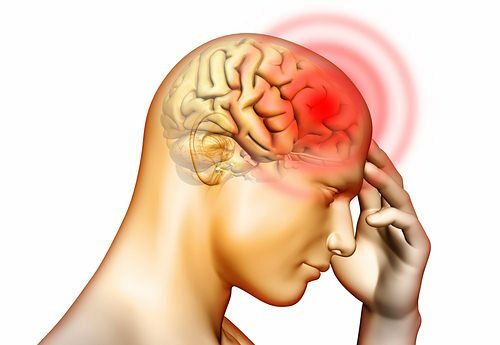 It is possible to confuse a brain hemorrhage for a stroke because they have similar symptoms which include: difficulty speaking; a sense of numbness; difficulty performing normal activities like walking, or even falling, and weakness on one side of the body. Brain hemorrhage can be caused by blood leaking from weak blood vessels, trauma, drug abuse and high blood pressure. Brain hemorrhage should be treated immediately to avoid serious complications. Specialized monitoring of blood oxygen levels, heart rhythms and pressure inside the skull must be done and patients on treatment be closely monitored. Important initial treatment include breathing and blood pressure stabilizing, and ensuring enough oxygen is supplied to the brain and other organs using a ventilator if necessary. If the patient is unconscious, intravenous access will be needed to give the patient medication and fluid. After stabilizing the patient, assessment should quickly be done to determine which treatment should follow. The location and size of the hemorrhage influences the decision to perform surgery. Fortunately, surgery is not always necessary for a person with an intracranial hemorrhage. Pain medication may be administered if the person is awake. Other medication will be given to prevent a seizure, keep blood pressure at optimal levels and to decrease the swelling around the location of the hemorrhage. The damage to the brain caused by the hemorrhage, the patient's overall health condition and the location of the damage will determine the type of surgery to be done, if this is necessary. As part of brain hemorrhage treatment, decompression surgery will help to relieve the pressure on the brain. The blood that has pooled will be carefully drained and any damage done to the brain will be repaired. This will give the patient great pain relief. Open surgery or craniotomy can be done to help the patient. The surgeon will carefully and partially remove a part of the skull to perform the open surgery to drain the hematoma. The ruptured blood vessels will also be drained, but this surgery will only be done in case the hematoma is too large. An alternative option is simple aspiration surgical method whereby the surgeon uses a needle to make a hole in the skull and drain the hematoma. Locating the source of the bleeding can be difficult with this surgery. Another treatment method for bleeding in the brain is endoscopic evaluation which is similar to simple aspiration. However, in this case, a camera is used to locate the hematoma's position. Stereotactic aspiration is a method in which a computed tomography (CT) and a suction tool are used to find and drain the hematoma. The care after a brain hemorrhage treatment procedure depends on several factors. Subarachnoid hemorrhage caused by an aneurysm will need the patient to stay in hospital for a minimum of two weeks to be monitored in case of a cerebral vasospasm. Recovery is easier and faster for patients who didn't suffer any rupturing of the aneurysm. These patients can leave after a few days and continue with their lives. Patients that had a craniotomy surgery will have to stay for a few days after their release from the ICU. After discharge, these patients will be able to continue with their normal activities provided they stay away from serious or strenuous activities. The patients will also need to go for regular follow up reviews by their doctors. Patients who had an elevated initial bleeding or had bleeding in certain parts of the brain have a higher risk of dying. But with the right brain hemorrhage treatment, medication and other therapies, a brain hemorrhage patient can return to their old lives with time. In some cases, patients suffer from seizures, memory retention problems and headaches after surgery. Brain hemorrhage may lead to a number of complications. Nerve cell functions may be affected leading to loss of control in some parts of the body. Common problems include difficulties in movement, and loss of speech or memory. Physical therapy to strengthen the body can be used as a rehabilitation method after a brain hemorrhage. Recovery from a brain hemorrhage is possible. But to improve a patient's condition, rehabilitation is often needed. In the U.S, more than 1.7 million cases of traumatic brain injury occur every year. Besides, there are almost 5.3 million people with disabilities caused by brain hemorrhage. Brain injuries are the main cause of brain hemorrhages. For this reason, it is important that people take care to protect their brains. This can be done by protecting the head by wearing helmets when cycling and motorcycling and wearing seat belts when driving. As a leading cause of strokes, high blood pressure should be managed appropriately. Smoking cigarettes is a huge risk factor for strokes. The carbon dioxide and nicotine damage the cardiovascular system. Additionally, smoking while using birth control increases women's risk even more. Diabetics must keep their blood sugar levels under control. They can also be overweight, have high cholesterol and high blood pressure, all of which can lead to stroke. Changing diets and doing exercise are some of the best changes that can help minimize the risk of brain hemorrhages. Eat foods that improve brain and heart health and avoid foods that are high in cholesterol, trans-fat and saturated fats. Being physically active can also help lower the risk of stroke, among other health benefits. Aim to exercise for half an hour every day.